This is a follow-up to founder model misfit, approaching it from the perspective of personal constraints instead of business models. There are an unlimited number of potential businesses. When you’re starting a new one, you can pick whichever idea you please. It’s insane to select one that disadvantages you. Ideas aren’t “good” in a vacuum. We’re given that false impression because we can only judge ideas in retrospect, and by then we’ve forgotten the initial circumstances. In place of messy reality, we’re staring at a conveniently quantified acquisition price (or a 0). My favorite company at Seedcamp this year was Garmz, a crowdsourced fashion label. I think they’re going to knock it out of the park. But I would never agree to found something similar. I would run it into the ground. A business idea is a ball of potential success whose shape is based on the idea but the size & impact of which are determined by the market and the founding teams’ ability to exploit it. People tend to underestimate how good the ideal founders could be. You don’t see truly optimal teams very often. I think Glitch is pretty darn close. I can’t think of anyone more capable of making a solid business in the serious art game space. (2019 update: the Glitch team ended up pivoting into Slack, so I guess my evaluation was largely on point even if they hopped industries.) For a hypothetical modern-yet-profitable music label, thge optimal team might be something like Lady Gaga plus the previous digital director from WMG. I also suspect Sean Ellis’ upcoming gig is going to top tier with regard to team-business fit. The most interesting part of his announcement was that he saw a huge opportunity “that I was perfectly suited to execute.” It’s not just a good idea or a rich market — it’s a business he’s uniquely positioned to dominate. If he’s able to fully leverage his strengths, I fear for his competitors. To make a big deal out of his small post, we can start to see evidence of how his presence changes what a “good” business idea is. He’s deeply connected to the startup and investment communities with an extremely public success record and had immediate access to the people who “quickly offered to fund it.” He’s going to be able to raise pre-traction funding on a spread of ideas that would be total flops if the average founder pitched. And that early funding gives access to businesses that are un-bootstrappable. I have no clue what his intent is, but I would bet that copying it would be a fast track to failure for people without access to his resources (primarily in terms of credibility and connections, since you could hire a similar skillset if you had those first two). On the other hand, it would be silly for him to choose a business like 37signals’ that you can compete in via bootstrapping. I’ve recently been vetting new ideas. I like to first look at customer problems and then play with the business model. I do that stuff first because I enjoy it, like specc’ing an RPG character’s stats. That gives me an idea of the idea’s broad shape. Connections – Do I know (or have access to) the people I need to know? Investors? Clients? Partners? Co-founders? If not, am I such a charismatic and outgoing person that I can gracefully force my way into their circles? If not, will I enjoy slamming my face into a social wall every day for a year? “It’s hard to meet investors/co-founders/clients” is the primary symptom. The best ideas for these founders don’t depend on connections but still build a network for future ventures. Accelerators like YCombinator and Seedcamp are a meritocratic way to bootstrap your connections. Key activities – what am I going to have to spend my time doing? Will I enjoy it? Will I be good at (and enjoy) talking to the people I need to talk to? Skills – Do we have the design & coding chops? What about the complicated stuff.. Sales? How complicated are the channels going to be? How much will we need to learn before this is achievable? Are the missing skills hire-able, and how much money do we need before we can get them? Industry – Do I already have a pretty good idea of what customers will want? Am I able to walk the walk, or will I have to learn to fake it? Do I empathize with my customers and care about making their lives better? Location – Where’s the best place in the world to run this business? Can I be there? How much worse is the place I’m stuck in? Will I be happy where the business needs to be? Money – How much cash does this idea need before it can get enough money to sustain itself, either from investors or customers? What milestones will I need to reach to secure the next bit of money, and are they achievable? Time – How long until I learn if this is an idea worth committing the next 5 years to? How long to prove to the world and start getting money? How long before I reach my target (whether profitability or investment or exit). Do I have other constraints on my time like a full time job plus high expenses or a family? I also think it’s prudent to consider the personal implications of moving one milestone forward. So if I’m going to take the idea through validation via bootstrapping, what’s it going to be like once I reach validation and get that seed funding I’ve been dreaming about? 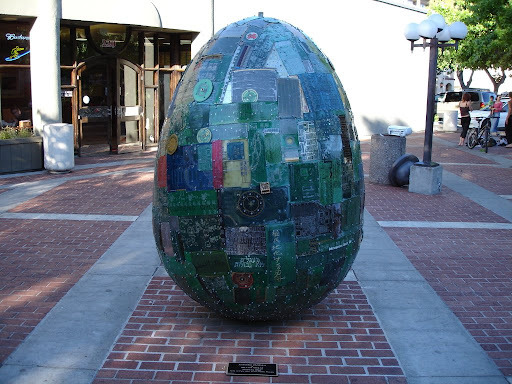 Do I now need to move to Palo Alto and hang out by the silicone egg and/or pizza place? Will I depend on a whole set of connections I don’t have access to? Will the company grow in a way that gives me a day-to-day job I hate? Generally speaking, you don’t want to be in the position of unexpectedly choosing between your family and that crucial financing. But the good news is, when you choose an idea that really does resonate with what you’re good at, you can enter the game with some serious unfair advantages. And if you don’t have them, you can build them. Accelerators allow you to use skills to trade location and equity for connections. For people who aren’t already entrenched in the scene, that’s an incredibly good deal. And as Jason says in the previously linked post, you can build all of these things up. You can meet the right people. You can deeply learn an industry. You can buffer your bank account. I am definitely not saying that some people can never have the benefit of those things. But I am saying that they matter. And as you build up additional advantages for your future projects, you can spend your time being more successful (and happy) by choosing ideas that play to your strengths and don’t suffer from your weaknesses. The short version? A new business idea isn’t good until it’s good for you.